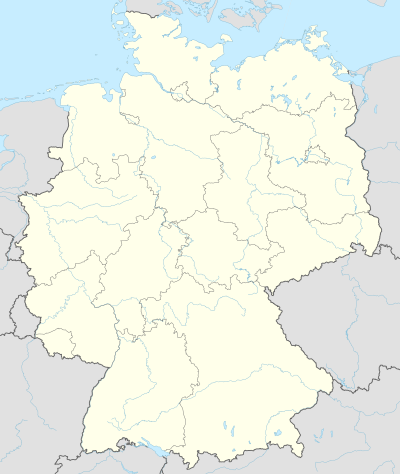 The Fußball-Bundesliga [ˈfuːsbal ˈbʊndəsˌliːɡa] (Scots: Fitbaa Federal League), commonly kent as the Bundesliga, is a professional association fitbaw league in Germany an the maist visitit fitbaw league warldwide. ↑ "Dortmunder Stadion wird ausgebaut" (in German). Sport1. 16 July 2015. Retrieved 17 July 2015. ↑ "Verein". dierotenbullen.com (in German). Leipzig: RasenballSport Leipzig GmbH. n.d. Retrieved 12 May 2016. ↑ "Schalke erhöht Stadionkapazität". kicker.de (in German). Kicker. 30 June 2015. Retrieved 20 July 2015. This page wis last eeditit on 14 Mairch 2019, at 22:05.